Surf News Network,11 June, 2015 – Seattle, Washington – Rising sea temperatures attributed to global climate change could drive many marine creatures away from the equator, but their move toward the poles promises to put them in peril in habitats that are smaller and less hospitable, scientists say. Two studies published on Thursday in the journal Science illustrate dangers researchers forecast for sea animals as diverse as corals, fish and crustaceans. University of Washington oceanographer Curtis Deutsch said warmer ocean temperatures increase both the metabolic rates of ocean creatures and their demand for oxygen, but warm water contains less oxygen than cold, necessitating a move toward the poles to find cooler seas. “As habitat shrinks, populations are also likely to shrink. In the extreme, it leads to extinction, as we see with habitat destruction in terrestrial ecosystems,” Deutsch said. As species migrate, they may end up in new environments with different ocean conditions, predators and prey, Deutsch added. The study looked at species including: Atlantic rock crab, a coastal crustacean; Atlantic cod, an open-ocean fish; sharp snout seabream, a subtropical Atlantic and Mediterranean fish; and the common eelpout, a bottom-dwelling, shallow-water fish in high northern latitudes. By 2100, they could be displaced from as much as a quarter of their current ranges as they shift toward higher latitudes, the researchers found. Another study focused on the world’s largest group of reef corals, called staghorn corals, that dominate most reefs of the Indo-Pacific region and also reside in the Caribbean but are highly susceptible to a phenomenon called coral bleaching. In high ocean temperatures, corals expel algae living in their tissues, making the creatures turn white. This can kill them or make them more susceptible to other hazards. The corals may have a hard time in cooler-water environments further from the equator, the study found. 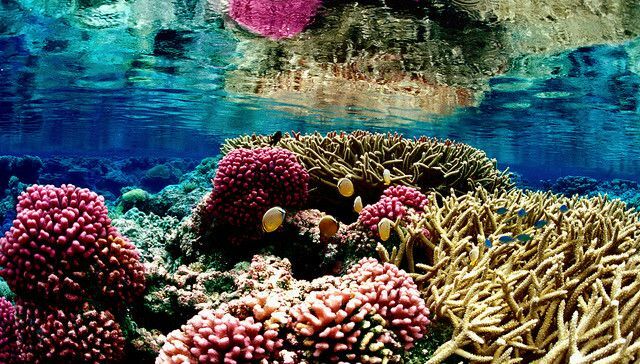 Because corals are dependent on sunlight, which does not penetrate the surface as well in higher latitudes especially during winter, they would be restricted to habitats in shallower waters if they migrate toward cooler waters. “It was hoped that in response to warming oceans many groups of animals and plants would shift towards the poles, but for a large and important group of reef corals this option now appears limited,” Muir said.